Ironing is one of those tasks not loved by too many people. However, there comes a time you just have to face the music and get on with the job! Here are some Clean Laundry hints on making ironing a little easier. Though it may not be the most frugal, if you place an item in the dryer for just a few minutes, the heat from the dryer will naturally iron out most of the wrinkles. Also, while drying clothing in the dryer, never overload. This can cause an even bigger wrinkle problem-so remember, less is more when using the dryer. After the wash cycle, hang wet clothing items on coat hangers or on a clothing line. The weight of the wet clothing will gently pull out most of the creases. Folding clothing right out of the dryer will reduce wrinkles. Even if the items are not wrinkle free, this will save on ironing time! Always use boiled, then cooled water or distilled water to fill your iron. This will keep deposits from clogging up your iron, and free from damaging your clothing. To cut your ironing in half, use aluminum foil under the ironing board cover. The foil will reflect the heat of the iron smoothing the underside of your items as you run over the topside. Start with cuffs, hems and collars and iron them inside out to keep them from puckering up and losing shape. Always iron in a back and forth direction, never use circular movements. This can stretch out your fabrics and shorten the life of your clothes. To hold the shape of pleats while ironing, use paper clips. Be sure to iron over them gently so you don’t damage your fabrics. 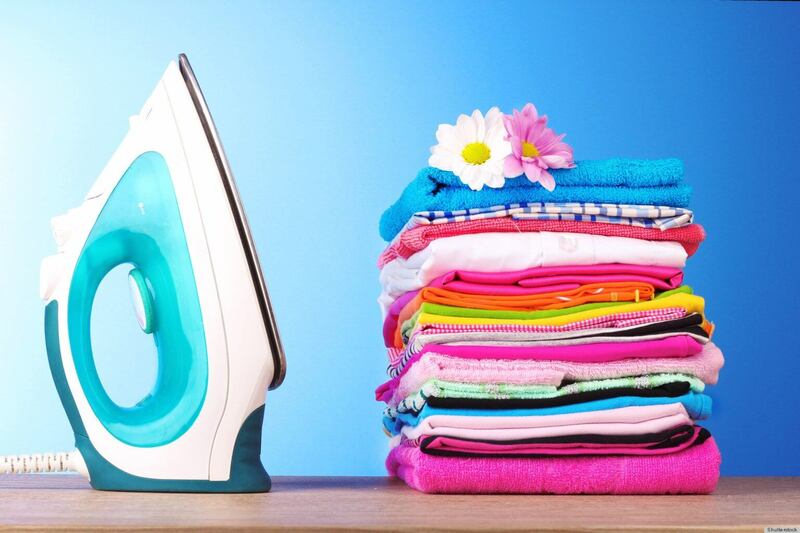 Prevent deposits from ruining your clothes by cleaning your iron regularly. On a warm setting, use a wet cloth dipped in a water-baking soda solution, then carefully wipe the iron plate. You can also use Q-tips dipped in the same solution to remove deposits from the holes in the iron. By immediately hanging up your clothes after ironing you reduce the risk of all that hard work going to waste and wrinkling your fabrics again! 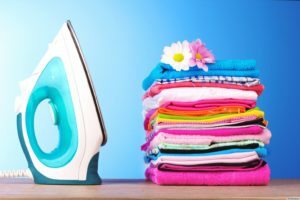 These faster, easier and more efficient tips will surely bring back the pleasant in your ironing day once again!